How much can you make in 35 years by just investing Rs.10,000 initially in any of financial instruments? The company which has made fortune of millions is "WIPRO" with present valuation of 521+ crores (excluding dividend payments) for Rs. 10,000 invested in 1980. Will Wipro provide similar returns in next 35 years? Probably not, it’s already an IT giant. Mayur Uniquoters which we recommended 4 years back is a 8-Bagger stock for our Hidden Gems members. We recommended Buy on Mayur Uniquoter on 31 March 2012 at price of Rs. 56 (adjusted price after 2 bonus issues and stock split in last 3 years, actual recommended price was Rs. 448) and today it’s at Rs. 424 giving absolute returns of 657%. However, we missed to buy it early. You might be surprised to know that Mayur Uniquoter is a 140-Bagger stock for investors who invested in it 7 years back. Investment of Rs. 1 lakh in Mayur Uniquoters in Jan 2009 is valued at Rs. 1 Crores and 40 lakhs today. Mind boggling, isn't it? Company has posted strong growth YoY and rewarded share holders in big way, Company was trading at Rs. 3 (bonus issues and split adjusted price) with market cap of merely 13 crores in Jan 2009, today market cap of the company is 1,964 crores. Wait! You can grab it for free, simply subscribe to Hidden Gems, Value Picks or Wealth-Builder annual subscription service. That's not all, on subscription of Hidden Gems or any of our Hidden Gems combo pack, you will also receive our Hidden Gems Flash Back Report - Dec'15 update without any additional charges. Avail attractive discounts by subscribing to our combo packs, click here for details. So what are you waiting for? 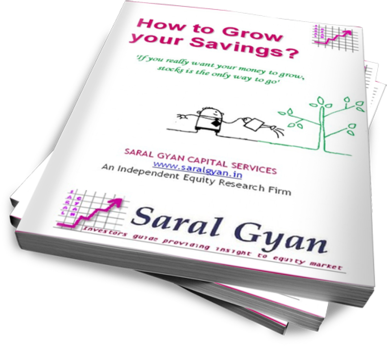 Make educated investment decisions during ongoing market correction by investing in high quality small and mid cap stocks with strong fundamentals.